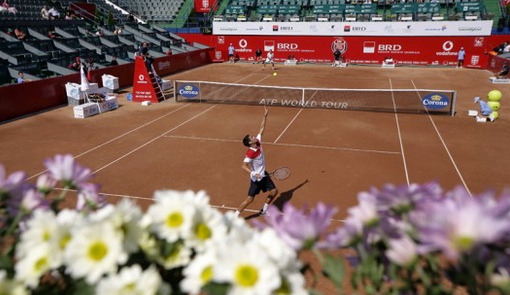 The ATP World Tour 500 clay-court tournament is one of the most important events in the Euro-clay season. After the drama of Sunday’s Monte Carlo final, Nadal will have time to re-group in his native country and continue his preparations for the French. Spanish players are here in full force of course, with Ferrer, Nadal’s closest rival here the top seed. Defending Champion: Rafael Nadal – He has won his past 34 matches at the event and goes for title number 8. Nasty Floater: Tommy Robredo – With his comeback win in Casablanca 2 weeks ago, Tommy’s in form and could face Dimitrov in round 2. Veteran Watch: Albert Montanes – Another seasoned Spaniard, who’s shown some form. He gets a wildcard into the event. Youngbloods: Ricardas Berankis – Of all the youngbloods, he’s taking his time to shine but of late is performing well. Slumping: Bernard ‘Atomic’ Tomic – Verdasco gets a pass this week, so it goes to the unpredictable Aussie, although clay is clearly not his surface. On Fire: Grigor Dimitrov – Fed 2.0 took a set off Nadal in Monte Carlo, which is like winning the tournament. He’s coming of age. My pick: Rafael Nadal – His closest rival here on clay is David Ferrer, who he owns 17-4. You do the math. Did You Know? Spaniards have won the past 10 editions, with Rafael Nadal lifting the trophy seven times in the past eight years. This 250 event has a strong field with Gilles Simon hoping to bag a 4th title. Romanian tennis is somewhere between promising and the doldrums. Victor Hanescu, at 31, remains a good player but his best days are behind him. A wildcard is given to Adrian Ungur who has had some good results but looks a journeyman at best, while Marius Copil qualified for this event. Still no sign of the next Ilie Nastase, Ion Tiriac, or for that matter Andrei Pavel. Defending Champion: Gilles Simon – Has a 15-1 record and shooting for a 4th title here. He’s as good a Romanian here. Nasty Floater: Jarkko Nieminen – The Flying Finn is a tough nut to crack for anyone and comes into the event with some big wins last week. Veteran Watch: Victor Hanescu – Now 31, the clay specialist still has a great backhand and at his home event, will be fired up. Youngbloods: David Goffin – Likes clay and gets a reasonable draw. He needs to put some wins together after a slow start. Slumping: Janko Tipsarevic – Lost some confidence recently, so a 25o tournament might be the tonic for him to get some mojo back. On Fire: Fabio Fognini – Could be tired after his run in Monte Carlo but he made everyone take notice last week. My pick: Gilles Simon – A 4th title beckons for the deceptively effective Frenchman. Did you Know: The event changed its name to the BRD Nastase Tiriac Trophy in 2011 in honour of its two iconic ambassadors Ilie Nastase and Ion Tiriac. Thanks for reading and check back next week for more tips!